Having your car serviced by skilled professionals is vital for safe, efficient and cost-effective motoring. However, the costs can add up, particularly with older vehicles that might require more maintenance. Volvo Service Plans are designed to make it more affordable to keep your car in great condition with regular aftersales servicing. Service plans work by spreading your servicing costs over a period of between two and six years. For the duration of the service plan agreement you pay an interest-free monthly charge, making this a smart way to budget for the expense of maintaining your vehicle. 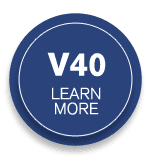 You can take out a Volvo Service Plan on any car up to four years old, and depending on its exact age you can choose a period of between two and six years. Each plan includes the correct number of services for your specific model and your estimated annual mileage. However you use your Volvo car, we have a service plan to suit your needs. Your service plan benefits from fixed-price parts, labour and oil for the duration of the agreement. This means that you do not have to worry about inflation or price increases. As a service plan customer you also benefit automatically from the Volvo Service Promise, which includes 12 months’ Volvo Assistance roadside recovery free of charge. It also guarantees that your Volvo car will always be attended to by Volvo-trained technicians who are experienced with each model in the range. We always use techniques and equipment recommended in Volvo guidelines. If your car needs a repair or replacement, we will supply and fit genuine Volvo parts. If you would like to find out more about Volvo Service Plans, please get in touch with the team at our dealership in Chelmsford in Essex. You can request a service plan quote below, or enquire via the website by filling out the online contact form and an adviser will get back to you as soon as possible. Alternatively, please phone the dealership to speak to a member of staff directly. Alternatively, complete the enquiry form and one of our advisors will get back to you.